A policewoman sent to investigate the troubles at Cheddar Village, her squad is killed and she is nearly raped and killed by the mad vampire priest inhabiting the dead village, but is "saved" when Alucard sends a bullet through her to kill the priest. 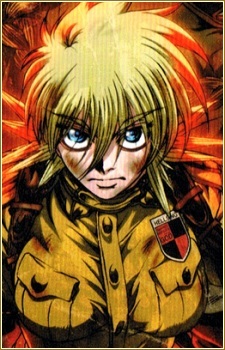 On the verge of death, she allows Alucard to turn her into a vampire, and joins Hellsing as Alucard's minion. She is reluctant to embrace her new powers at first, but gradually comes to terms with what she is, and eventually discovers her true powers after a certain event.